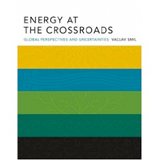 Master Resource is proud to share a list of books that can help policy makers, journalists, and students become more informed about the energy issues facing America today. 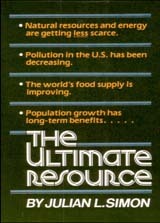 Julian Lincoln Simon argues that the “ultimate resource” is not any particular physical object but, the capacity for humans to invent and adapt. 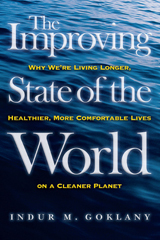 Many people believe that globalization and its key components have made matters worse for humanity and the environment. Indur M. Goklany exposes this as a complete myth and challenges people to consider how much worse the world would be without them. 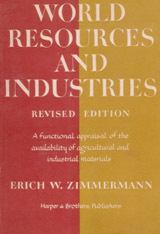 Erich Walter Zimmermann became renowned for his "functional" approach to resource study, first published in 1933 as "World Resources and Industries: A Functional Appraisal of the Availability of Agricultural and Industrial Resources". 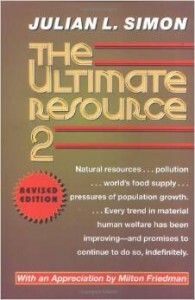 Unlike traditional descriptive inventories, Zimmermann's method offered a synthetic assessment of the human, cultural, and natural factors that determine resource availability. 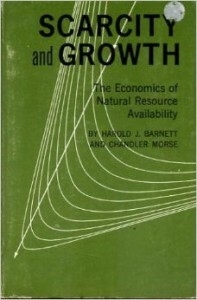 The authors of this book ask, "Does the limited availability of natural resources will at some time in the future constrain economic growth as many environmentalists believe?" 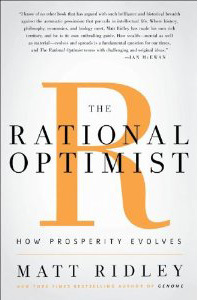 Mattt Ridley makes the case for an economics of hope, arguing that the benefits of commerce, technology, innovation, and change—what Ridley calls cultural evolution—will inevitably increase human prosperity. Price hawks and doves may be good copy, M.A. Adelman notes, but in fact there was never an Arab "embargo" against the U.S.A, nor any moderating influence by the United States. 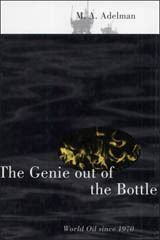 Since we must in our own interest protect the Persian Gulf producers, they understandably do nothing to oblige us. Vaclav Smil considers the twenty-first century's crucial question: how to reconcile the modern world's unceasing demand for energy with the absolute necessity to preserve the integrity of the biosphere. "The Coal Question" explores the implications of Britain's reliance on coal. 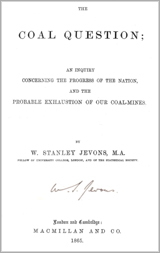 Given that coal was a finite, non-renewable energy resource, William Jevons raised the question of sustainability. His central thesis was that the UK's supremacy over global affairs was transitory, given the finite nature of its primary energy resource. The following publications are recommended by the experts at Master Resource. The blame for Enron rests squarely with political capitalism - a system in which business interests routinely obtain, and employ government intervention for their own interests at the expense of consumers, taxpayers, and competitors. 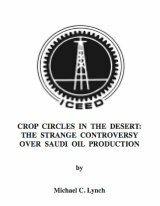 “Crop Circles in the Desert: The Strange Controversy over Saudi Oil Production” examines the common misconceptions surrounding oil production in Saudi Arabia. 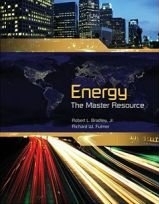 Author Robert Bradley, together with Richard Fulmer, have put together an outstanding book that covers answers to the most fundamental questions (What is energy? Where does energy come from?) through current policy applications. It is ideal for students and classroom use. Environmental alarmists, having been proven wrong time and time again, turned to global warming as another justification for failed socialist policies. 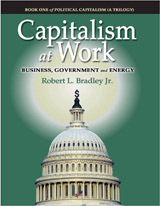 Robert Bradley shows that the alarmists are wrong yet again. 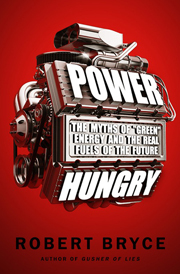 Everybody is talking about “energy independence.” But is it really achievable—or even desirable? In this controversial, meticulously researched book, Robert Bryce exposes the false promises and political posturing behind the rhetoric. The promise of “green jobs” and a “clean energy future” has roused the masses. However, that vision needs a major re-vision. We cannot—and will not—quit using carbon-based fuels at any time in the near future for a simple reason: they provide the horsepower that we crave. 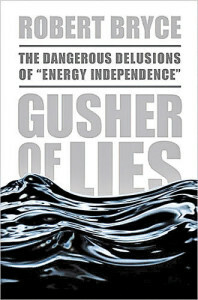 This book critically and realistically evaluates the claims of green energy and green jobs proponents who argue that we can improve the economy and the environment, almost risk-free, by spending billions upon billions of taxpayer dollars in return for what are ultimately false promises. 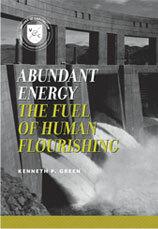 Human beings depend on energy. From burning wood to harnessing the atom, we have relied on the consumption of natural resources. As civilization grows and the demand for energy increases, we must ask ourselves how to best meet our energy needs while responsibly stewarding our resources.